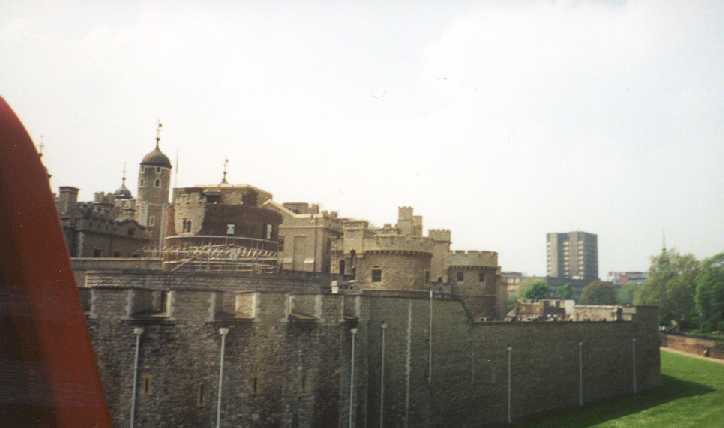 This is the view from outside the Tower of London. 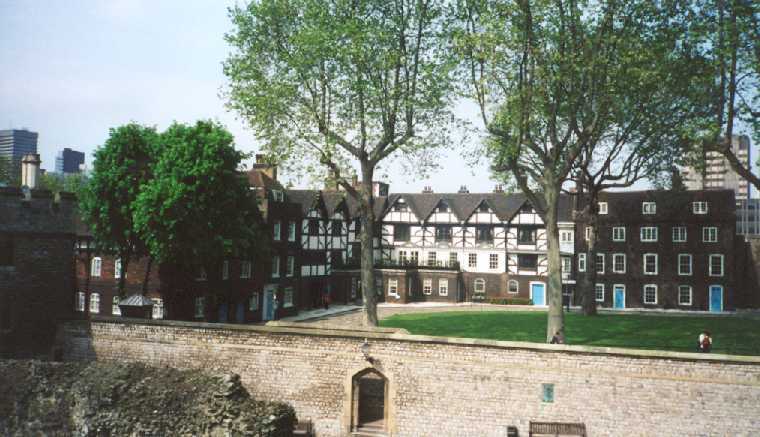 Contrary to the picture its name presents, the Tower is actually a collection of buildings surrounded by the Thames River on one side, and think, brick walls on the other three. This is shot of the moat of the Tower. This moat was at one time filled with water, and served as one of many deterrents both to people wanting to get in and people wanting to get out. 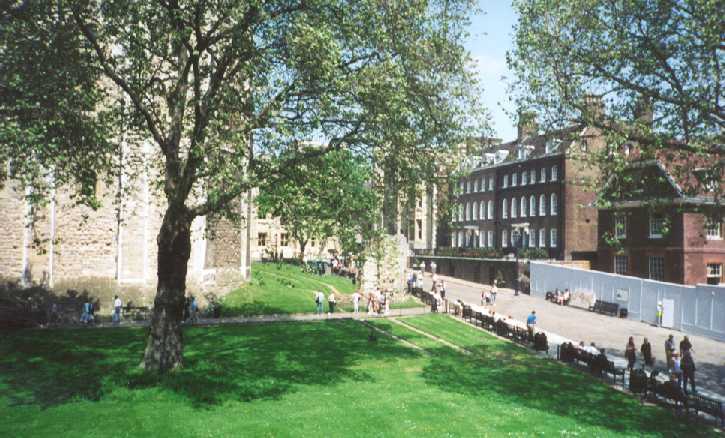 The moat was added in the late 1100's by Richard I and fed from the Thames River. Now that the Tower isn't a prison anymore, there's a soccer field on the grass of the moat. When the moat was drained in 1830, they found hundreds of human bones. This is a raven. 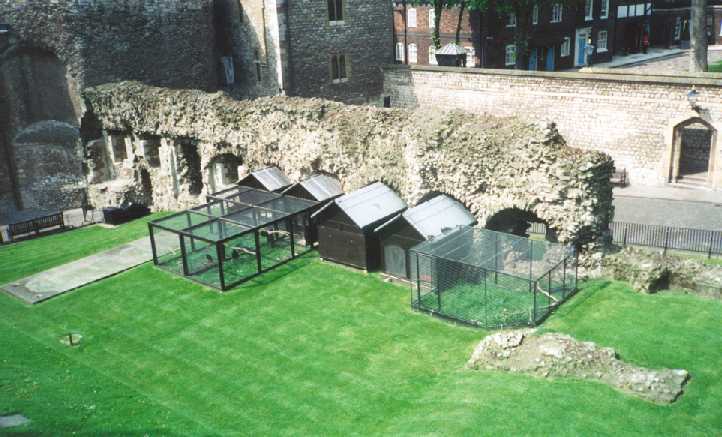 Why is a raven in with my Tower of London pictures? Well, its a strange story. Ever since the Tower was built, there have been ravens living at the Tower. The guards of the Tower, called beefeaters, took to caring for the birds, the one that specializes in raven care is called the Raven master. At some point, there was a prophecy made that if the ravens ever left the Tower, the monarchy would fall. Now, being that this is the 21st century, we're past all that silliness right? Wrong. The ravens have their wings clipped. These birds ain't goin' nowhere. Guess the monarchy is safe. This is the Bloody Tower. It's called the Bloody Tower because this is where many of the condemned were kept before being led to the gallows to be executed. This is the White Tower. This is the building that lent the "Tower" name to the facility as a whole. This held much of the kings armory, the storehouse of military weapons and records. 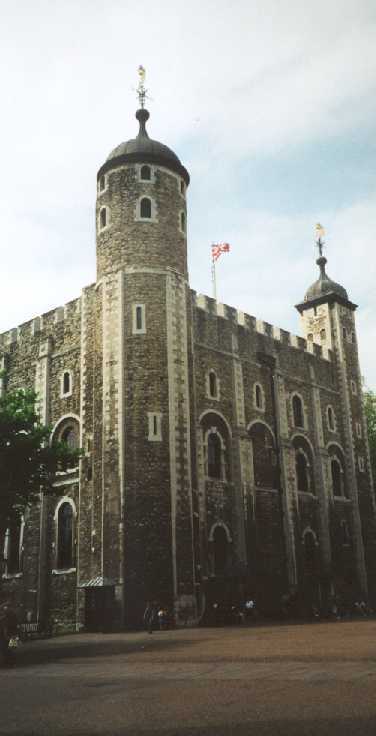 Later on, the White Tower was used to store records. 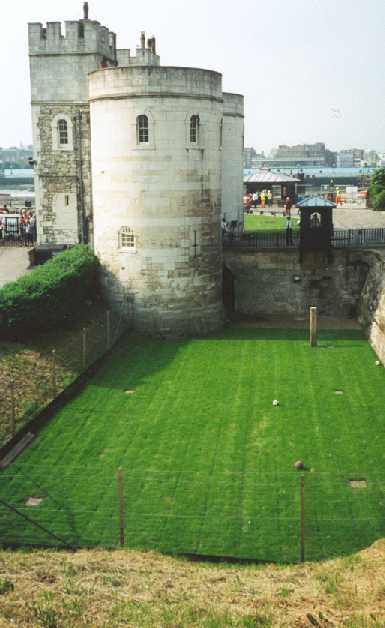 This a view of the courtyard from the White Tower. This is the view that many condemned men and women saw during their last days. Without the park benches and paved walkways, of course. 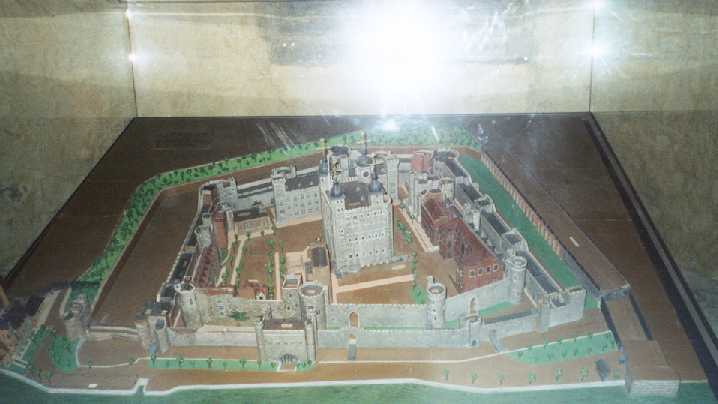 This is a model of the Tower as it would have appeared during the reign of Henry VIII, who used the Tower as a prison more extensively than any other ruler. The big tower in the middle is the White Tower. 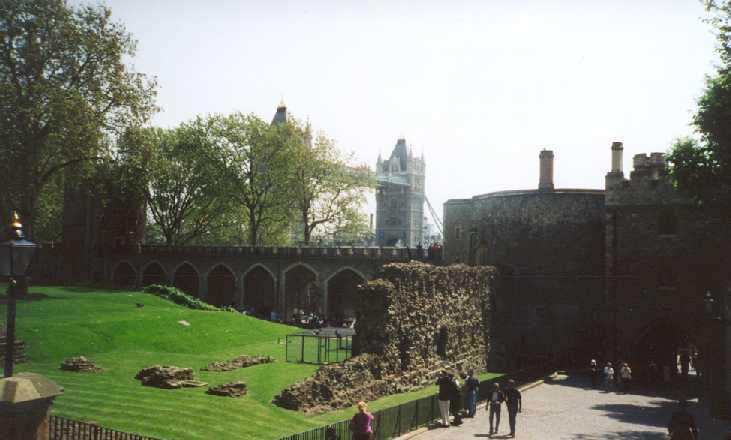 The Bloody Tower is just to the upper right of the White Tower. 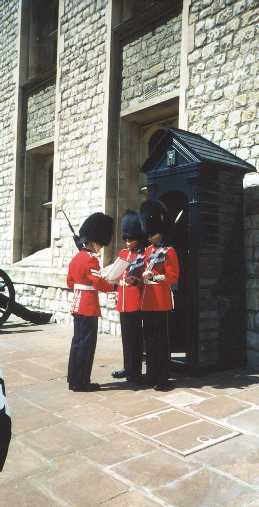 This is the changing of the guard ceremony. Its much simpler here than at Buckingham Palace (it takes over an hour there, and involves all sorts of horses, bands, all kinds of stuff). Here, the commanding officer just asks the old guard, "anything happen?" He says, "Yeah, a bunch of kids stared at me, and all kind of silly Americans took my picture (see above)." The commander says, "OK good, you're off duty." Then he tells the new guard, "you're on duty, don't get the Crown Jewels stolen or its your arse." This is the warden's residence. 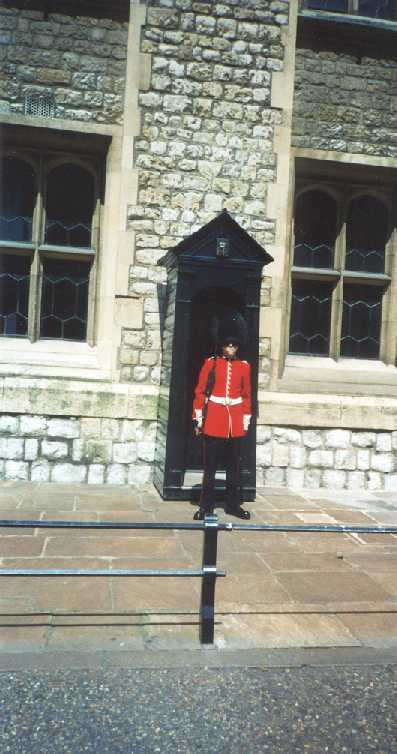 The Tower is still an active military installation, and the guards are real soldiers with real guns. There's a guard in this picture, can you find him? This is in one of the outer towers - its the remains of a fireplace that was built in the 10 Century, when the current Tower was built. 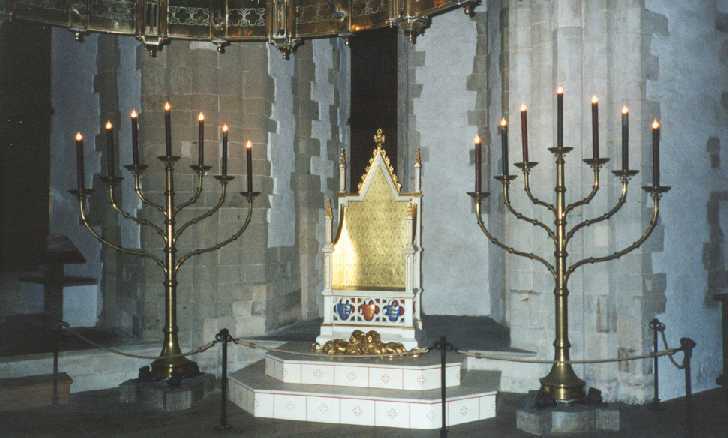 This is one of the early thrones of England. 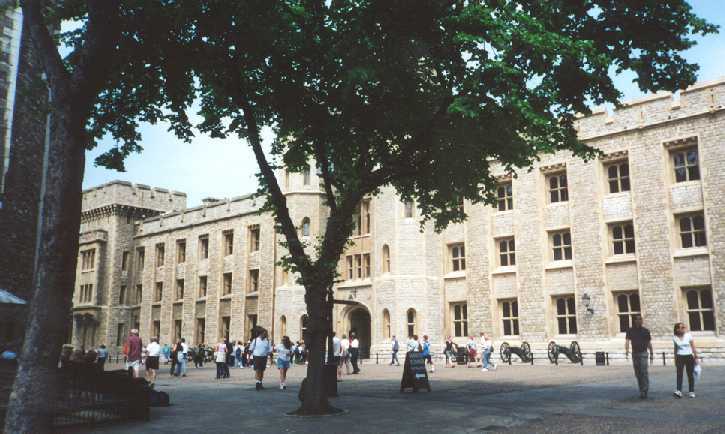 For a short time, the Tower of London was the primary residence of the King. In the room next to the throne room, there's a plaque that says something like, "here was struck down King ??? (I forget the name) by an assassin as he prayed." Bad way to go. This is another shot of the courtyard, but this one has a better view of the wall built by the Romans. You can also see part of Raven Central. 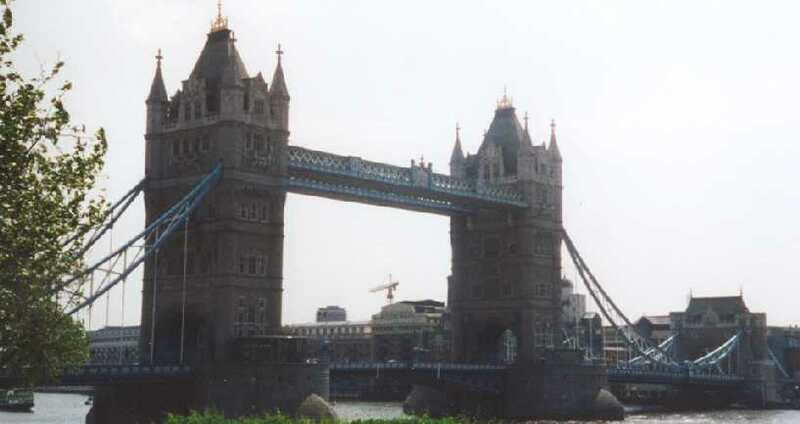 And way in the background is Tower Bridge, one of the many bridges that cross the Thames River. 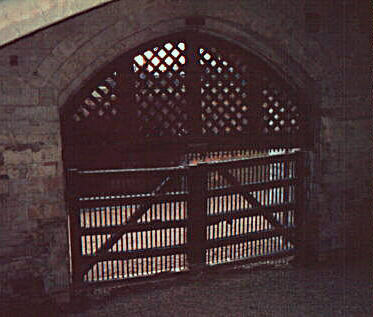 This is the Traitors Gate. 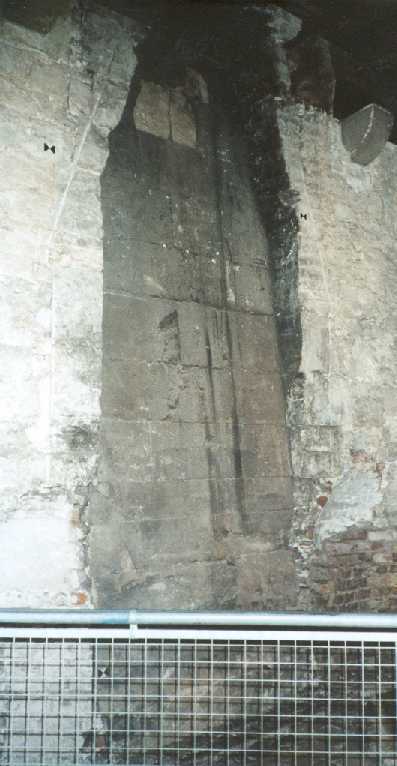 This is the gate through which prisoners were often brought to the Tower. It opens right onto the Thames River. That way, the boat with the prisoner on it could pull right into the Tower. This is Tower Bridge, just outside the Tower. Tower Bridge was where they would stick the heads of the executed people on a pole as a warning to others. Kind of makes for an interesting mental picture, doesn't it? You're walking down the bridge, and on either side of you is all these severed heads. And they didn't take them down, they just rotted up there, until they were stolen or the wind knocked them into the river. 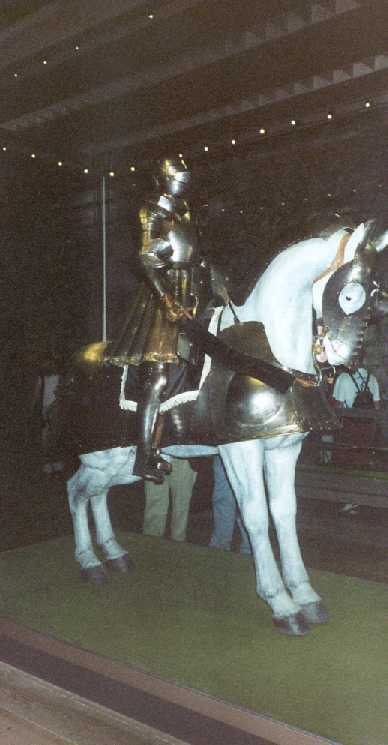 This is actual battle armor worn by Henry VIII (the one who had the nasty habit of having his wives' heads cut off). Henry VIII was an exceptional athlete in his youth, and was a very good horseman. It wasn't until he became king that he got fat. Ah, and what Medieval prison would be complete without a chopping block? This is where the Tower's was. However, only 8 people were executed here. Most of the people who were executed from here were taken to a hill nearby called Gallows Hill. It was much easier for the people to watch the executions. The only people executed here were royalty, mostly Henry VIII's wives. Anne Boleyn, his 2nd wife got the axe here. His 4th (I think) wife, Catherine Howard, was executed here too. Catherine was French, and requested that she be executed French style, with a sword instead of an axe. Since there was no one in England skilled enough with a sword to perform the deed, Henry VIII sent to France for a French executioner (what a guy!) So, ol' Catherine was kneeling there praying and the executioner winds up and whoosh!! One swipe, and her head comes neatly off. As was the custom, he picked the head up to show to the onlookers. Much to everyone's dismay, Catherine Howard's eyes were still blinking, and her lips were still moving. It isn't known if that was some sort of death spasm, or if she was still conscious for a few seconds after her head came off. Nice story, eh? Another person who bought it here was Lady Jane Grey, who was Queen of England for 9 days. Seems after Edward (son of Henry VIII) died, some Duke claimed that his daughter had the best claim to the throne and put the crown on her head. Mary Tudor (daughter of Henry VIII) took exception to that, and wrestled power away from the Duke and his poor daughter. So, the Duke got his on Gallows Hill, and the 17 year old Jane Grey got the choppy choppy here in the Tower a few days later. But first, they sent her young husband out to Gallows Hill to get his own neck severed. She got to watch through her window as they drug him from the Tower, and could hear the roar of the crowd as the executioner picked up his head and showed it to the crowd. I think that was pretty crappy of her dad to put her in that position. 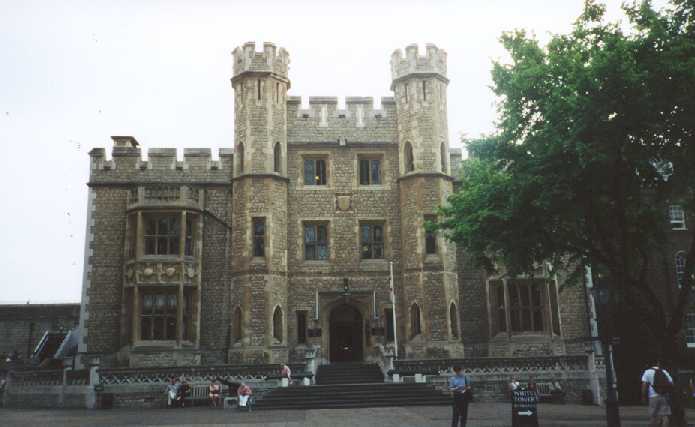 And last but certainly not least (of the stories I like the best - like I said, there's more at http://www.tower-of-london.com/) is the story of Margaret Pole the Countess of Salisbury. She was executed in 1541. Seems her son was a Catholic cardinal, and he took potshots at the religious reforms of Henry VIII from the safety of France. Since Henry couldn't shut up the good cardinal, he decided to take out his 70 year old mother instead. However, the Countess decided that she wouldn't go quietly, so she took to running around the scaffolding, making the executioner chase her until he finally hit her with the axe enough times that she lost consciousness, so he could finish her proper. 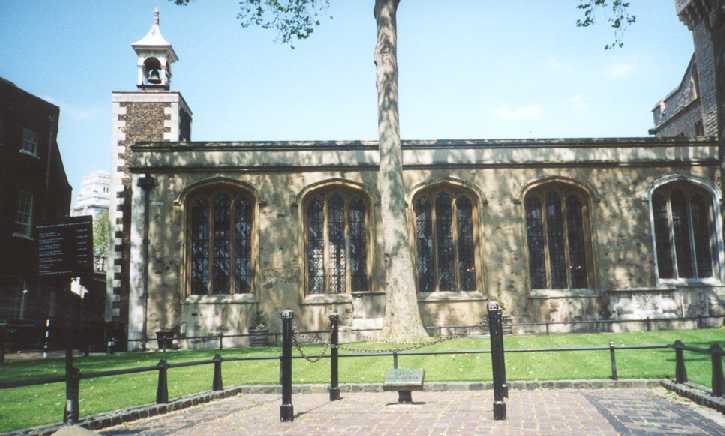 Anyway, that chapel behind the chopping block is where several of the people who lost their heads in the Tower are buried.